Tips + Tricks: Odacité Gt + L ..
Scent has the ability to trigger intense emotions and memories. One whiff of Acqua Di Gio and I’m back at a middle school dance grooving to “All My Life” by K-Ci & Jojo hoping my crush will ask me to dance. Unfortunately, it’s not all warm and fuzzy old-school R & B songs. 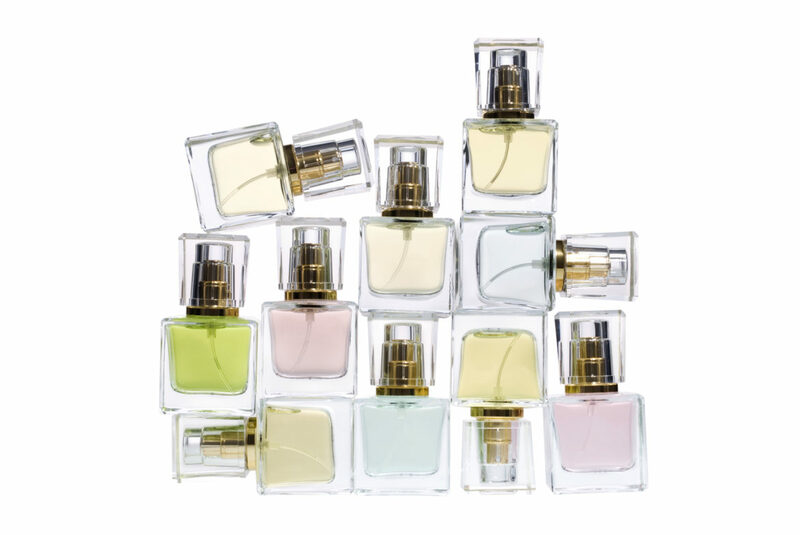 Most perfumes on the market today are made with synthetic ingredients. When synthetic perfumes were created in the late 19th century it opened up a whole new world for perfume manufacturers. It not only made a wide variety of scents now available, but it made them cheaper to produce. A retailer’s dream. What was in that dream however was more like a nightmare for a health conscious consumer. The Campaign for Safe Cosmetics recently revealed that there are 38 “secret” chemicals in 17 of the most popular fragrances. You are probably familiar with the top offenders, American Eagle Seventy Seven contains 24, Chanel Coco was found to contain 18 and Britney Spears Curious and Giorgio Armani Acqua Di Gio each have 17. According to the Environmental Working Group, “The average fragrance product tested contains 14 ‘secret’ chemicals not listed on the label”. As it turns out, fragrance ingredients can be listed as just that, “fragrance” and their mix of ingredients can be considered a “trade secret”. Trade secrets are not required to be revealed under the Fair Packaging and Labeling Act (FPLA) So, even though these ingredients may have potential health hazards, “trade secrets” now become dirty little secrets. 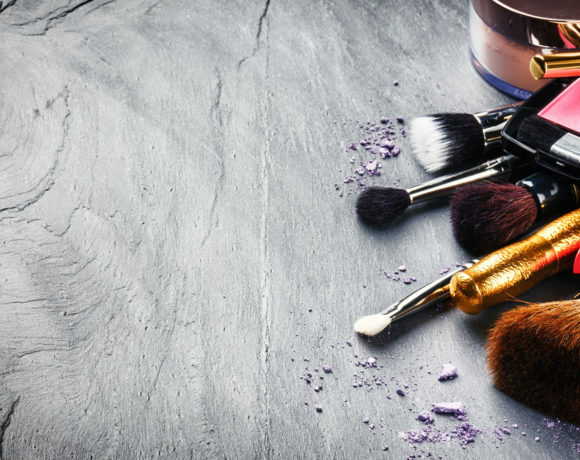 Many of these “secret ingredients” are petrochemicals, harmful synthetic preservatives known as parabens and phthalates and toxic ingredients like acetone, benzyl alcohol and ethanol (learn more about these here). Not only can these additives cause a headache, the most common reaction to scent, but they can contribute to more serious problems with liver and kidney damage, thyroid issues, asthma, contact dermatitis, even cancer. And if you’re hoping for a little “mini me” someday, let it be known that it can interfere with hormone production and decrease sperm counts. Even buying “fragrance-free” and “unscented” may not be enough to stop subjecting yourself to these toxic chemicals. Many companies use fragrance to cover up the unpleasant smell of chemicals in their products and still label them as “unscented”. Even products that you wouldn’t associate as having scent, like mascara, often list “perfume” as an ingredient. Reading the ingredient labels and avoiding products that list “fragrance” or “perfume” is the best way to limit exposing yourself to synthetic scents. But let’s be real for a minute, we all want to smell good. We aren’t going to give up all scented products, because unscented is kind of… bland. You don’t make emotional memories connected to “unscented”. Enter essential oils and organic perfumes. An essential oil is the liquid pulled from flowers, leaves, stems and bark of a plant through a steam or water distillation. They can have a myriad of uses but for me it made the perfect alternative to my synthetic perfume. You can use a drop or two directly on skin or mix it with a natural unscented carrier lotion or oil. The world of organic and natural perfumes is getting exciting. With so many emerging brands on the scene there are plenty of options when going green with your signature scent. These 6 companies are going to back to the basics, using organic, natural and often wild-crafted essential oils creating scents that are true luxury. Founder Wendi Berger has always loved fragrance, but when she was pregnant her doctor advised not to wear perfume due to the chemicals in them. Hunting for naturals to replace her beloved artificial perfume was a challenge because nothing had the elegance and complexity of what she was used to wearing. Most were roller balls (she prefers to spritz) and smelled too earthy for her taste. So Wendi set out on a very long journey to create Pour le Monde (for the world), the only certified 100% natural fine fragrances on the market and the only B corp fragrance company. Handmade in SoHo, New York City, using a base of organic jojoba oil blended with pure essential oils. No water or alcohol is used, and there are no preservatives, stabilizers, or additives. Created by Anne Sanford, LURK is the production platform for concepts, schemes, designs and ideas. For Sanford LURK is more than a vocation, definitely a declaration, sometimes a diversion and always an amusement. The botanical library of owner Tanwi Nandini Islam’s favorite scent stories and healing formulations that combine exquisite natural ingredients with herbalism + Ayurvedic knowledge. Wildflowers are her muse. Based in Brooklyn, NY, all of her products are composed of opulent skin and spirit replenishing botanicals that tell a story inspired by wildflowers, faraway places and familiar evocations. Holistic aromatherapists, botanical formulators, and organic advocates Natalie Szapowalo and model Annie Morton founded Tsi~La Organics with the goal of offering pure and natural perfumes and skin care products that benefit your overall well-being. Considered organic perfume innovators one of the first USDA certified organic perfume companies in the United States All of their products are Animal Cruelty Free, Vegan and made with Natural & Organic Ingredients. Former winemaker Frances Shoemack decided to create Abel Organics when she was unable to find a truly natural perfume that satisfied her personal criteria. Abel uses only ethically sourced organic ingredients and infuses food-grade alcohol with essential oils for its unique scents. The perfumes come in minimalist cases made from reclaimed wood, such as old Amsterdam canal beams and Dutch railway carriages, and are designed to protect the perfume from light damage. Abel promotes itself as being in ‘no man’s land,’ where gender doesn’t matter and there are no rules about what sort of scent a man or woman should wear. Fragrances are formulated by Anne McClain, who studied natural perfumery and aromatherapy before moving to Grasse, the perfume capital of France, for an intensive study of the history, techniques, and practices of modern perfumery. Based in Brooklyn, NY, MCMC is owned and operated by sisters. All products are carefully crafted in small batches and bottled by hand. What’s your take on synthetic fragrances? Ready to make the switch to organic or already have? Let us know your thoughts below in the comments section. Great article, honored to be included! I use Auric Blends perfum oils, I believe they are all natural. I’ve seen these before, but haven’t tried them yet. Do you recommend any of the scents in particular? My pleasure. Absolutely love your packaging! My daughters & I prefer Cocomango, Vanilla & Coconut. But they have lots of other lovely scents, I’d recommend finding a display if you can to test them all out & find yours ☺ Check out your local head shop, I always seem to find them there, or any organic store. But they do sell them on amazon too now. I’ve found them in drug stores & even army surplus. I have been getting them since the 80’s so they’ve been around for awhile. I’m going to try some of the ones you’ve listed. My daughter gets horrible migraines from the smell of most perfumes & I’m wondering now if its more than just the scents that trigger them? Thanks Debi! I will definitely check them out. I’m incredibly sensitive to scents as well and used to think that I was just allergic to perfume. Since switching to natural options I’m able to wear and enjoy without any unpleasant side effects. I’m now certain that it was the undisclosed chemicals that used to trigger my headaches. Good luck!